In this post, I am going to share the first in what will hopefully be a series of such outputs. This output is a workflow that performs the foundational step in any data analysis — namely, acquiring the data. 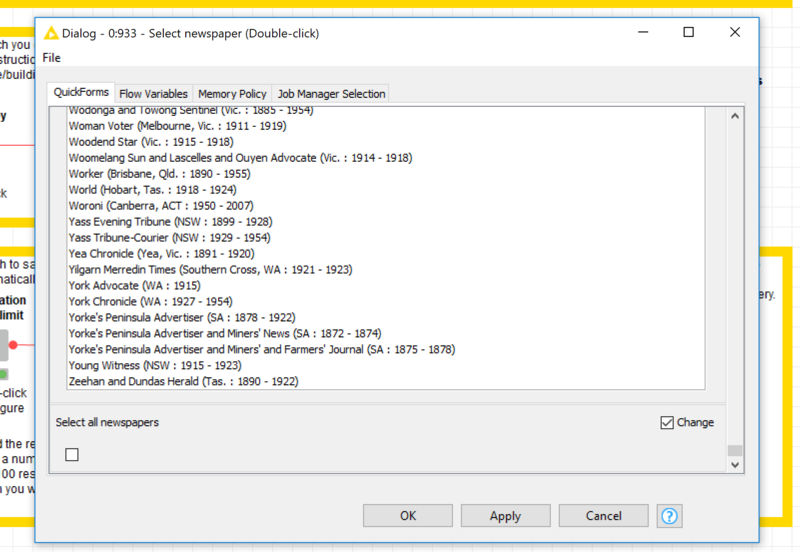 I hereby introduce the KnewsGrabber — a Knime workflow for harvesting newspaper articles from Trove. 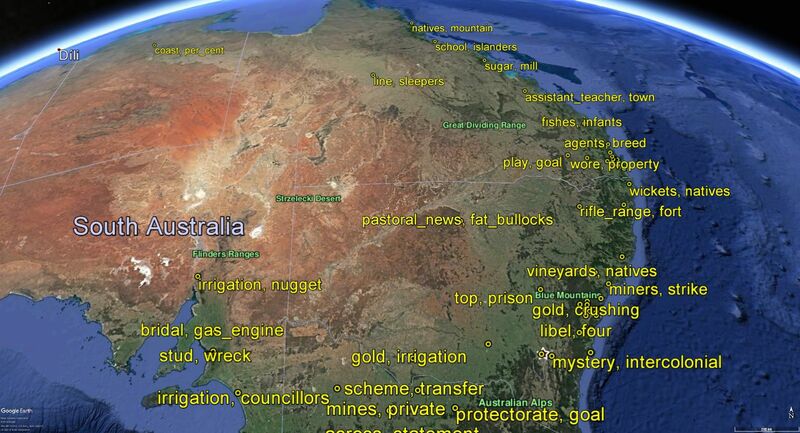 I’m far from the first person to download and analyse text in bulk from Trove. This is a path that has already been trodden by others, most notably Tim Sherratt, who has created a Trove Newspaper Harvester in Python, implemented in a user-friendly Jupyter notebook as well as a web interface, to do exactly what I have created the KnewsGetter to do. So why did I make the KnewsGetter? I suppose the main reason was workflow integration: I do all the rest of my analyses within Knime, so it made sense to keep everything under the one roof. In addition, I was attracted to the challenge of building a Trove harvester in Knime, as I’d never used Knime before to work with an API. As it happens, in the process of revising this workflow, I’ve ventured into what is for me new territory. In many ways, this workflow functions more like an application than a simple sequence of operations. 1 This is the beauty of tools like Knime and Jupyter notebooks: you start off tinkering with simple scripts, and then realise one day that you know how to code (or to Kode, in my case). Whether anyone else will find a use for this workflow is an open question. If you are already familiar with Tim Sherratt’s harvester, I can’t promise much more with KnewsGetter other than a different interface and a few more point-and-click options. But if you’re curious to explore Knime’s potential for digital humanities research, then perhaps the KnewsGetter will bring you some joy. Perhaps you’ll find this sight less scary than a page of annotated code, or perhaps not. 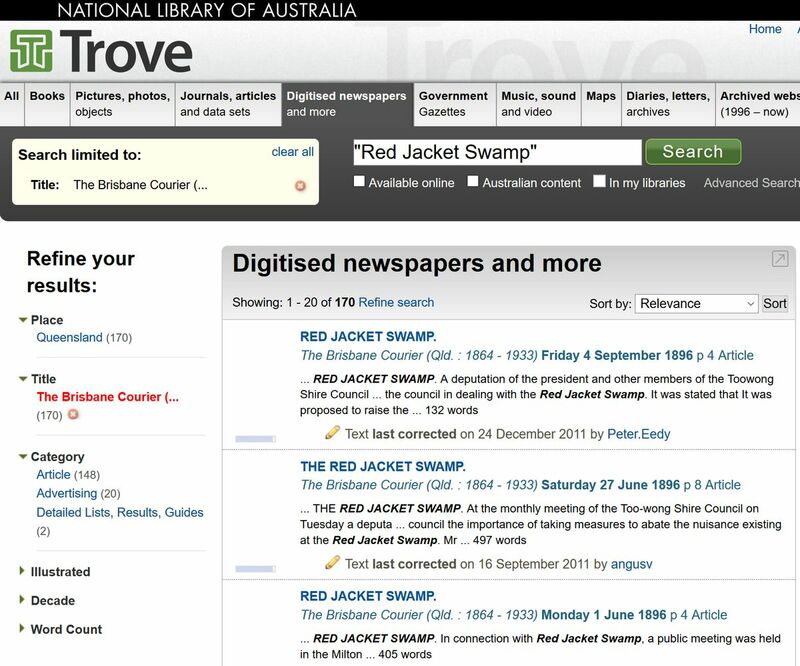 In any case, there is not much that you need to do to start getting data from Trove. In this form you also specify the name of a folder in which to save your outputs. The workflow will create this folder in a subfolder called ‘Data’ within your Knime workspace. The initial outputs will be in CSV format and could be very large, depending on the scope of your search. The files will be named automatically using information from the query. 1,431 titles, and you can only pick one… or all of them! A third form allows you to enter some specifics of your query. These include a keyword or phrase (leave this blank to retrieve all articles regardless of their content), a decade or year (I’m still working on allowing a defined time range), and one or all of the pre-defined content categories (articles, advertisements, detailed lists, and family notices). You can also choose whether to retrieve the full text of the articles or just the basic metadata. Finally, you can choose to limit the search results to a defined number of pages (there are 100 results per page). Here you can set some basic search parameters, like keywords, timeframe, and content type. For advanced queries, you can enter a URL manually. The Trove API allows you to define your search via many more properties than the ones available here. To keep things simple, I’ve stuck to the basic options that I think people are most likely to use. If you know what you are doing and want to use a more specialised query, you can enter it manually into the last part of the configuration form. Doing this will bypass the details entered elsewhere in the form. You are now ready to run the query by executing the ‘Execute query’ metanode. However, first you might want to check how many results there will be. Do this by executing and viewing the output of the metanode labelled ‘Check number of results’, as shown below. This query has produced 22,312 results. Go make a cup of tea. If the number here is really big, just be prepared to wait a while for the download to complete, and make sure there is plenty of space on your hard drive. As mentioned earlier, if you want to digest the query in smaller chunks, you can limit the number of pages to download. If the process looks like taking longer than you had hoped, you can cancel the download at any time (just hit the ‘Cancel all running nodes’ icon in the top menu) and resume later on. 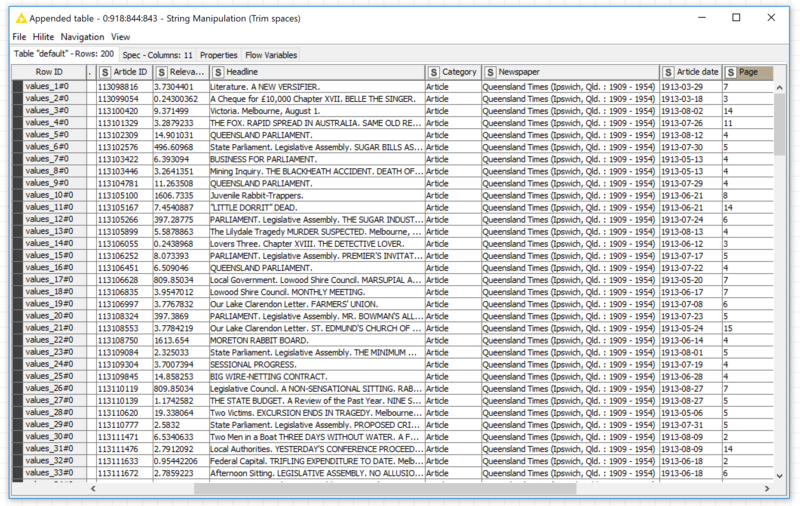 The KnewsGetter works by iteratively building a CSV file, 100 articles at a time. So if you stop the process, you’ll still have everything you have downloaded up to that point. To resume the job, double-click the ‘Execute query’ node and select ‘Continue last query’. The workflow will then bypass all other settings and use the query parameters saved in a file called Next-start.csv, which lives in your selected output folder. If you run a new query, this file will be overwritten, so if you want to resume your first query later on, you will need to save a copy of this file and reinstate it when you are ready. You can view the downloaded outputs in one of two ways. If you have allowed the job to complete, rather than interrupting it part-way through, you can view the output of the ‘Execute query’ metanode, which should look something like the example below. If the table is empty or contains only one row, then something has gone wrong. A preview of the results of the query. You can also view the downloaded results by poking around in the ‘Review and collate outputs’ metanode. 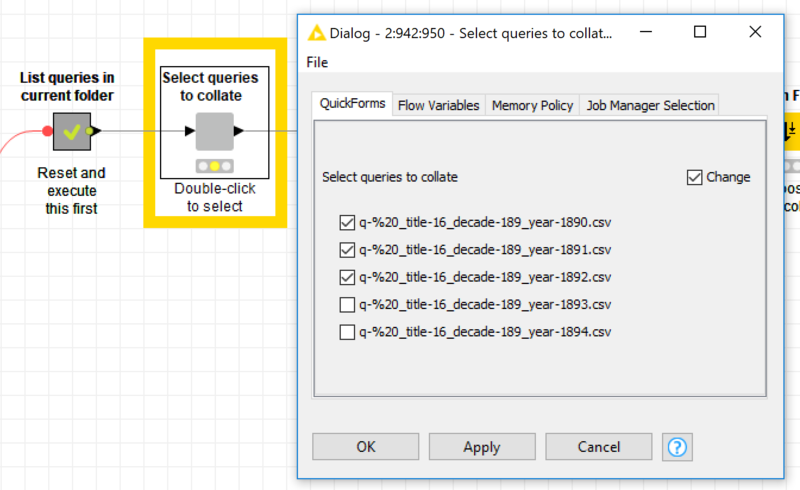 Here, you can select one or more of your CSV files, collate them into a single table, and save the consolidated table as a new CSV file or Knime table. 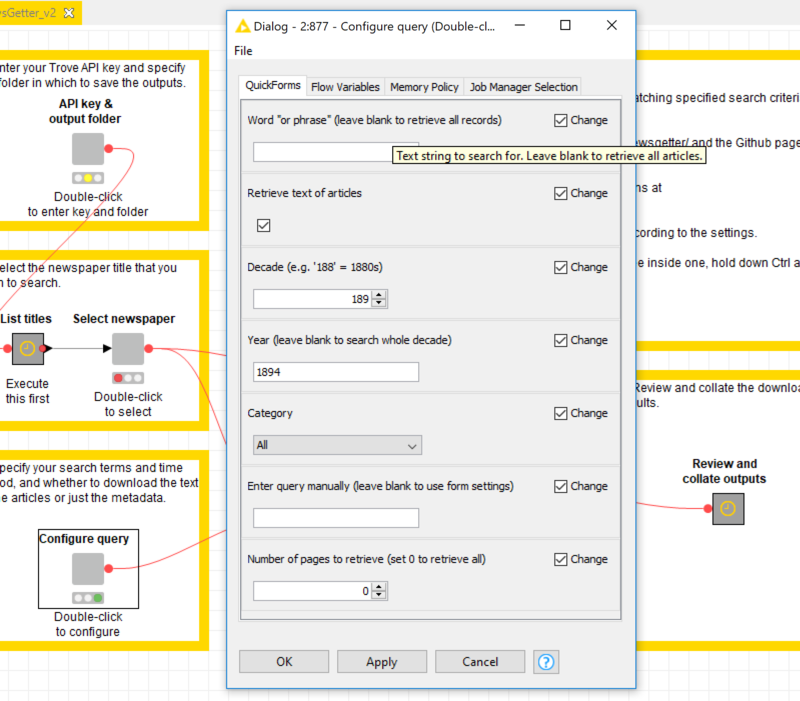 If you will be using Knime to analyse the data, then I recommend choosing the latter option, as it results in a smaller file that is easier to load within Knime. Here you can select multiple output files to collate and review. Congratulations! You now have a dataset. What happens next is up to you. In the near future, I hope to release some more Knime workflows with which you can enrich, explore and and analyse outputs like these. If you do try out this workflow and run into any problems, please let me know. I can’t promise a rapid response to any bugs, but I certainly do want to iron them out where they exist. For that matter, feel free to get in touch even if it works perfectly. Just knowing that there is someone else out there using Knime to do digital humanities will make my day! In case you missed it, here is the link to the GitHub page where you can download the workflow.